Mark Ritchie, former Minnesota Secretary of State and former president of the Minneapolis-based Institute for Agriculture and Trade Policy, sent Felix an email about a very interesting interview with Kevin Watkins, the CEO of Save the Children Fund (UK). The interview and commentary was by Russell Hargrave in devex: “Save the Children CEO on a new era of competition for aid”. I realize it’s a lot easier saying this now after the film of the same name has come out and has taken over $400 million in US box office receipts. It is at present taken the 8th most revenue for a super hero comic book ever. The End of UN Habitat? At the beginning of August, the High Level Independent Panel to Assess and Enhance Effectiveness of UN-Habitat came out with its report. Before commenting on the Panel Report I want to put up front that I know that a lot of the staff in UN Habitat do excellent work and its same they weren’t given a proper role in Habitat III. Over the past five years, I have written with a number of co-authors the history of the sustainable development movement at the global level prior to the first UN Conference on Human Environment held in 1972 through the 1992 Earth Summit and Rio+20 to the adoption of the Sustainable Development Goals and the Paris Climate Agreement. I like to think of these books as the ‘Vienna Café Trilogy’ after the café in the basement of the United Nations headquarters in New York, where many deals are done over coffee. Also, with deference to the Hitchhiker's Guide to the Galaxy: A Trilogy in Five Parts, this trilogy may also have future books. 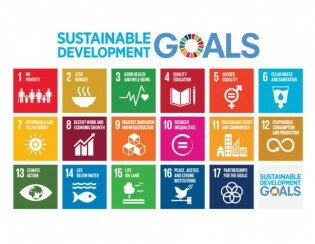 It’s been almost one year since heads of state and government adopted ‘Transforming Our World: The 2030 Agenda for Sustainable Development’ - the ambitious agenda which contains 17 sustainable development goals (SDGs) and 169 targets during a special session of the UN General Assembly on 25 September 2015.